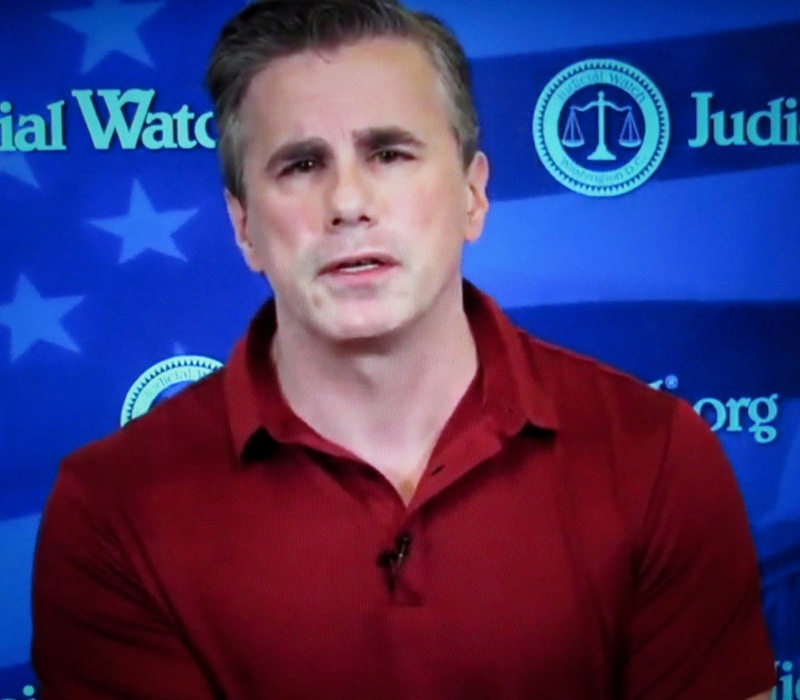 Tom Fitton, president of Judicial Watch, singled out California as the worst offender for election integrity, by having “more people on the rolls than were eligible to vote,” a good indicator that voter fraud is taking place. Judicial Watch has “an Election Integrity Project” (EIP) that sued in federal court over the years to make sure states take reasonable steps to clean up the voter rolls. By comparing the number of eligible voters with the number of registered voters in a jurisdiction or state, EIP can tell how many voters are ineligible. Furthermore he said information “published by the elections assistance commission,” a bipartisan federal agency, revealed Los Angeles County “had a registration rate of up to 112 percent of its’ adult citizen population, one hundred and twelve percent.” If that is true, it is a sure sign of voter fraud and the court apparently agreed. The whole state of California had a registration rate of “about 101 percent of the age eligible citizenry. 11 of California’s 58 counties had registration rates exceeding 1 hundred percent of the age eligible citizenry,” according to Fitton. Bob Popper, Director of their Election Integrity Project, former Justice Department attorney, who lead a team of lawyers to root out dirty election lists, and “Los Angeles County confirmed that it had on its’ voter rolls a potential 1.5 million ineligible voters.” That makes “one in five voters” that were either out of state or dead or otherwise ineligible. Judicial Watch uncovered “3.5 million ineligible voters nationwide,” so Los Angeles County comprised “nearly half” that figure alone, although according to Snopes, the evidence is "compiled from only 462 counties in 38 states, yet the entire U.S. comprises over 3,000 counties in fifty states," still a fairly large sample size, which clearly show a problem. The settlement agreement was filed in the local court in Los Angeles on January 3, and will have the effect of enforcement on the federal level. And he is right this is a victory for election integrity and enforcement nationwide. Los Angeles County will now be forced to send out letters to all 1.5 million potentially ineligible registrants and see who responds. If they don’t respond, “their name is removed as required by the MVRA, (the “Motor vehicle voter registration application”) and affirmed by the Supreme Court last year and if they are not removed immediately,” additional steps are taken, but he added, this could take years. (4) However, he later told his viewers that Los Angeles County will have to remove dead people from the rolls immediately. “In addition, California Secretary of State is going to notify others in the state, the other counties, ineligible names must be removed and they are obligated to do so.” So this ruling will apply to other counties in the state. Astonishingly, over 580,000 inactive registrations have been on the books for over ten years, so this has been going on a long time, which explains how the Democrats were able to gain and maintain a majority hold on California. As Mr. Fitton points out, it is easy for Democrats to take advantage of inactive registrations through ballot harvesting and absentee ballots that only require signature verification to qualify as valid. If election fraud isn’t occurring, then the potential for it to happen is certainly a possibility and should be dealt with as if it was more than a possibility for the sake of free and fair elections. “And the fact that the left has hated the idea of doing these list-maintenance procedures, it tells you what their goal is, their goal is to have their voting rolls padded so that in a way allows for potential fraud. That’s my conclusion. I don’t see any legitimate basis for the clean up of voter rolls, for opposing voter ID, for opposing citizenship verification, other than the fact you want dirty voting rolls for fraud,” (5) and why would you want that if you didn’t want non-citizens to vote contrary to law. Judicial Watch is a non-partisan organization that goes after the Trump administration as well as the Justice Department in it's efforts to uncover the truth and bring greater transparency to government through their Freedom of Information Requests.